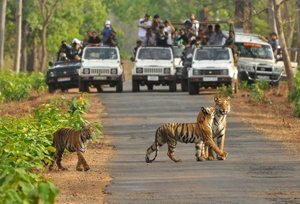 Tadoba, Nagzira and Pench National Park are the wonderful spot to visit for wildlife lovers and nature admirers. These national Parks are located in Maharashtra and attract a horde of tourists all the year round. 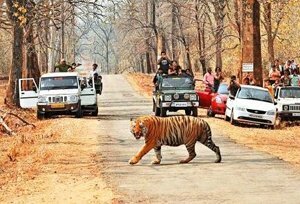 The tiger population of these national parks is incredible and it is the major cause luring the tourists. When these three amazing national parks bequeathed with exotic flora and fauna are explored together, it gives a unique and unsurpassed pleasure to the wildlife lovers. One can come close to nature and can savor its opulence in the best way by visiting these three verdant national parks in the same go. 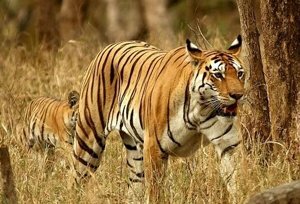 This 07 Days and 06 Nights tour itinerary encompassing Tadoba, Nagzira and Pench National Park is a great trip to undertake for the tourists in quest of savoring serenity and exploring nature's grandeur.